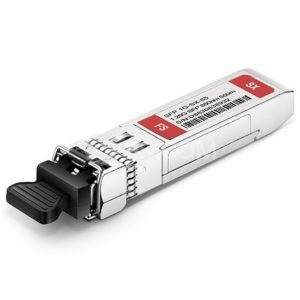 The SFP fiber module provides different wavelengths and optical power budgets, allowing distances from 550 meters to 120 kilometers. Some statics also shows that traditional SFP can reach 4.25Gb / s at 150 meters, or reach 1.25Gb / s when 160km runs, and can reach a variety of ranges / speeds between the two according to the type of fiber. Usually, when the running distance is more than 328 feet / 100 meters, the optical fiber SFP module must be considered instead of the copper SFP RJ45 module, because 1000Mbps can only reach 100 meters through the copper cable wiring. In this sense, fiber SFP provides a substantial advantage over copper SFP. 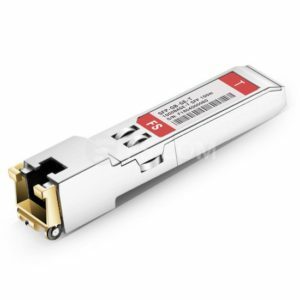 Within the same short distance, fiber SFP transceivers may be cheaper than copper SFP modules. In Gigabit Ethernet applications, when copper SFP is combined with copper cables for a short time, copper cables are more cost-effective because they are cheaper than optical cables. However, as third party suppliers flourish, they have developed a fully compatible and trustworthy fiber SFP module to support lower cost optical fiber operation. The price gap between the 100 meter copper transceiver and the fiber transceiver has been narrowed. This provides customers with more choices to meet their specific needs. Through the comparison between fiber vs copper SFP module, we can see that each media has its own advantages and disadvantages. Fiber SFP is not necessarily better than copper SFP, and the contrary has also been set up. Therefore, how could it be a war between the two? In fact, mixed copper and fiber solutions are the best practice for data centers. The development of Internet industry is unpredictable, so we need to look consider all aspects, see the advantages and disadvantages of each technology, and analyze the concretely. Besides, if there is any need, please contact us. FS.COM can provide you with SFP modules, SFP+ modules, GBIC modules etc. We can offer not only fiber SFPs but also copper SFPs. This entry was posted in SFP/SFP+ and tagged copper sfp, SFP Module, sfp rj45 on August 7, 2018 by Admin.